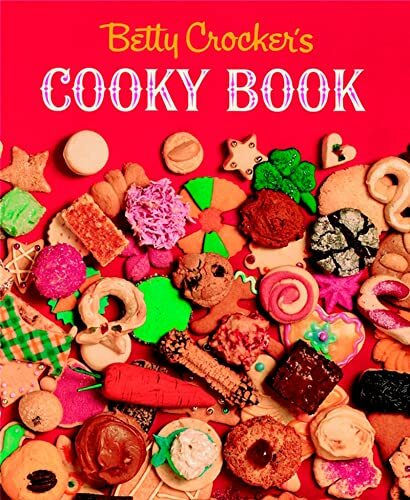 The cookie book thousands of us grew up withback by popular demand! This is a treasure trove of wonderful cookie recipes. Pecan crispies are light and elegant. Thumbprint, Russian teacake, meringues and sugar cookies are holiday favorites. Shamrock cookies become witches' fingers for Halloween with just omission of food coloring and a different rolling technique. Almond butter, French lace, nut crunch cookies. Of course, there are hundreds more--your favorites, no doubt! 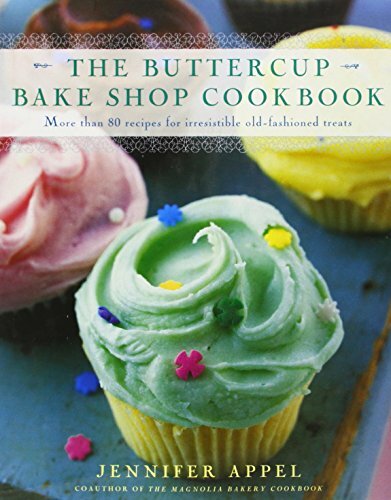 I recommend buying this book if you bake, or if you hope to. But I will add, it's not the "original" Betty Crocker cookie book. My mother has that--from the 30's or 40's I think, smaller and with fewer recipes, but awesome. This version has vivid color photographs so you can drool--or occupy your kids with just visuals--while you consider what to make next! I just received my book after ordering it shortly below my last review and I have to say I am not dissappointed. 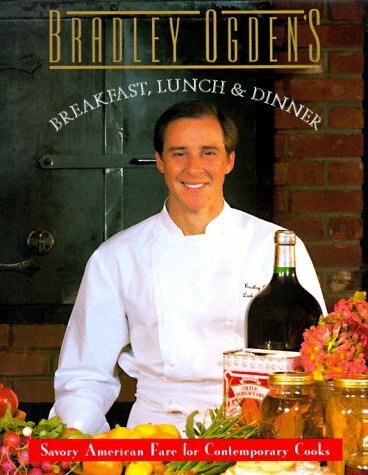 This is the best book out there with so many of the cherished recipes from the past. Lot's of the old German cookie favorites too that I had forgetton and aren't as popular anymore, at least not with their original names. I am impressed with the fact that it appears to be a reprint also and not a repackaged and changed newer book. I love the recipes in their original form, the pictures as I remember them with the old dated wallpaper in them(I did not have this books, but there were similar pics in my mom's '69 red and white BC book):-) The cookies aren't perfect like today's magazines, but they are as they come out which makes you feel better when yours come out the same as the books. Why even the historical recollections in the book were as they would have been in 1963(the history section and favorite cookie only goes up until 1962). It truly is as if time stood still. I like the reprint so much because I know the recipes are untouched and original. Well, I am off to make a list now of what we will be baking just for Christmas so I can get some supplies. I can't tell you all how giddy I am--Anyone who wishes to relive their past and remembers this book, or the recipes in it, it is money well spent, even if you only plan to flip through it and stroll down memory lane. 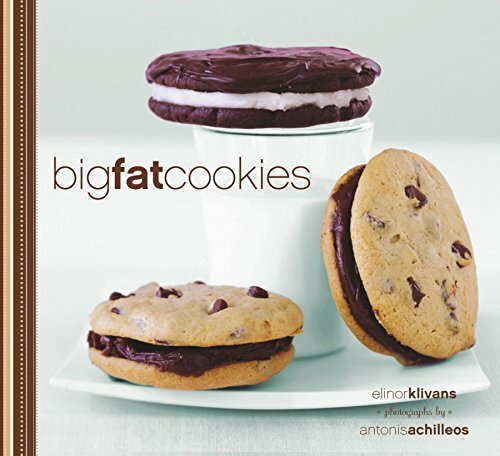 The Only Cookie Book You Should Own! My Grandmother had this cooky cookbook when I was growing up and I have eagerly anticipated a reproduction of this cookbook. I cannot tell you how estatic I was to find it! This book has EVERY recipe you could hope. I'm glad this is a reproduction and not a "updated" version of this classic cooky cookbook. What makes this book absolutely charming is the whimsical pictures and drawings throughout the recipes, reminding us of a wonderful era. Thank you to the publishers for choosing to reproduce this book!!! This has always been my favorite cooky book! My mother has made almost EVERY recipe in this book. She has a tattered 1963 copy that has almost 1/2 it's pages sitting loose inside the covers. This is the ONLY cooky book that I use! I was so thrilled to see that it's out in the stores again. I have purchased over one dozen copies for my coworkers for Christmas. It's so nice to have a cooky book that shows pictures of all the cookie recipes. The toffee bars, spritz, thumbprints, cut outs, gingerbread men, gingersnaps, are all excellent. I haven't found a bad recipe yet. It's fun to look at the old pictures with the soda bottles, and milk bottles. Going back to a time and place when times were more simple and innocence was bliss. I highly recommend this book!! I have been Somersizing since January of this year, and have seen incredible results. I bought all three of Suzanne's books and would recommened them to you all. The recipes are easy and clear and are delicious and satisfying. The desserts are sinfully wonderful. The best part is knowing you can eat them and still lose the weight. I therefore was excited to hear of this new book, just filled with desserts, yet after looking through the book I was left disappointed. Some of the recipes you can not substitute her Somersweet product with saccharin, which could be a problem if you can not afford to buy Somersweet. There are not many Level One desserts, unless you enjoy her cheesecake, which she gives two new variations. I understand that to make a dessert fit into the Somersize program can be difficult, but compared to her other projects I feel this one falls short. I would though recommend this book to all who Somersize or those who are trying to maintain their weight. Somers' diet plan is very much in keeping with all the various low-carb and sugar-free programs out there such as the Zone, Protein Power, Atkins and Sugarbusters. I myself follow Atkins and very much enjoy sweets, so this dessert cookbook is a happy find for me. In addition to the excellent contents, this 75-page book is gorgeous, with beautiful photos, glossy paper and a lovely layout design. As such, it would make a great gift. 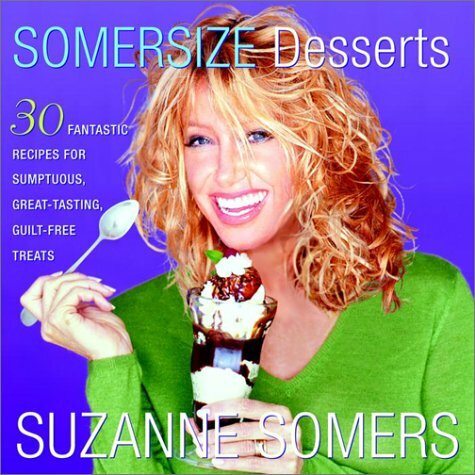 Somercize Desserts is a slim volume of 30 desserts accompanied by sumptious photographs! These are not diet desserts. They are made with full fat cream cheese, heavy cream, egg yolks, and chocolate. However, if the desserts are eaten according to the Sommercize rules of food combining you can enjoy them and lose weight! If they are eaten whenever, you could gain weight. The rules of combining are explained in Suzannes other books, Eat Great Lose Weight, Eat Cheat and Lose and Get Skinny on Fabulous Food. The rules are not explained in the Somercize Desserts book. She does however indicate, to those familiar with Somercizing which desserts are Level One and which are Level Two. The book includes both new treats and desserts previously published in her other books. Most of the recipes include a sugar substitute Suzanne has developed called SommerSweet. She also gives substitutions using real sugar or saccharin. The SommerSweet product is available from her website and is quite pricey. Two small cans with shipping runs $24 plus. One of the recipes in her book is for Truffles. She also sells the Truffles at her website for around $20 plus shipping. I purchased the Truffles from her site and enjoyed them. My husband who appreciates very fine chocolate found them to have an aftertaste. No one felt they were as good as a real truffle with sugar. But you can't have it all I guess. I decided to make the truffles with her book and found the recipe easy to follow but the end result was not as tasty as the ones she sells. Aside from the Sommersweet, other recipes call for ingredients including whole vanilla bean, wonton skins, phyllo dough, and whole wheat PASTRY flour. These items are not always easy to find. In addition one recipe calls for a springform pan and several call for an ice cream maker. By the time I purchased her book, the springform pan and the ingredients to make the chocolate layer cake, I figure I had about $75 invested! Other recipes in the book include, peach sorbet (ice cream maker needed) orange souffle, decaf coffee granita, creme brulee, steamed chocolate pudding, and asian napoleons. The directions are easy to follow and the ingredients are clearly listed along with the serving size. Fats, fiber, calories, and carbohydrate information is not included. Book lies flat for cooking ease. The book is lovely with the tempting color photographs and the recipes I have tried all turned out well. BUT considering the hard to find ingredients and the fact that the book contains only 30 recipes, its one pricey piece of cake! Great with a little help. I have tried a couple of desserts and they worked great. I used Splenda as sweetner with no problem. I also substituted lower fat dairy products. I love this book. Great for those who know what they want! 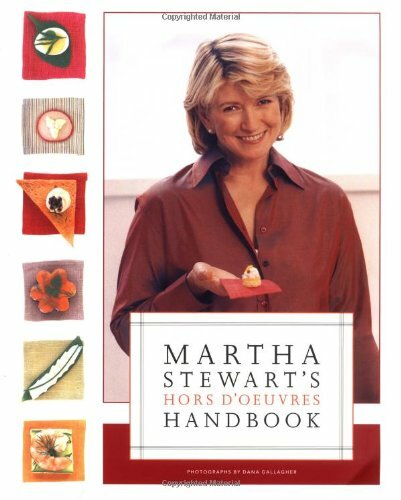 With Martha Stewart's Hors d'Oeuvres Handbook, Stewart, along with Martha Stewart Living food editor Susan Spungen and photographer Dana Gallagher, has created not just a handbook but a dream book. The first 225 pages consist entirely of beautifully photographed, exquisite nibbles, tastes, and bites--and the following 270 pages give you the recipes and instructions to re-create them at home. Pink and orange ribbons bound into the book allow you to easily mark photos and recipes. Only Martha and her staff would come up with something so beautiful and practical. You can browse the photos for inspiration, or dive right into one of the chapters, all organized by presentation, such as "Layered and Stacked"; "Wrapped, Rolled, Filled, Folded and Stuffed"; "Skewered and Threaded"; "Bites and Pieces"; and "Sips and Drinks," just to name a few. Having a few friends over for cocktails before the show? How about Crispy Asparagus Straws, a delicious combo of asparagus wrapped in prosciutto and phyllo and sprinkled with Parmesan? The sophisticated flavors belie the ease of preparation. Have a little more time to prepare? The Jicama and Green Papaya Summer Rolls with Peanut Dipping Sauce are tasty and beautiful. Martha is the Queen of Hors D'Oeuvres! When I am ready to don my apron to prepare for a cocktail or dinner party, this is the first book that I pull off the shelf. I flip through the beautiful and tantalizing photos in the front third of the book, find what I want to try, and then go on to the correlating how-to page. The recipes are easy to follow, some more involved than others, but depending on how much time you have, it's easy to make a choice on what to serve. The last chapter entitled The Guide is filled with a wealth of information - menus, an index of culinary utensils, description of uncommon and exotic foods and spices, equipment and food sources and a directory of specialty shops. I also like the built-in fabric book markers - great to mark favorite recipes. This informative book has been a welcome addition to my cooking library and I recommend it to anyone who loves to entertain. It will also make life easier for those who are sometimes forced to entertain whether they like to or not! I have used this book several times, made me want to have a party to try out these wonderful recipes. Full-color photos which show you what the food is supposed to look like; and well labeled -- telling you what page the recipe is on. Such creative ideas for snacks and treats, "why didn't I think of that?". Recipes are well detailed, easy to follow, good print (making it easy to read) with special notes on pages telling you where to get "hard to find items" and techniques explained. I think this book is not necessarily for beginners, but, those who love to cook and love to take time and pride in their cooking. Everytime I have made something from this cook book I get "waves of praise". The back of the book has "the Guide" which gives additional information from planning a party to taking Horsd'Oeuvre to a party. Equipment and ingredients are explained, as well as, a source list. I recommend this book to anyone, again, who loves to cook. It is right up there with the other Martha Stewart cookbooks, great! We planned a little soiree but the canapes in this book were just dreadful. I sold this book at our local library book & bake sale for AIDS for $1.00. I switched to B. Smith's Entertaining and Cooking for Friends and it was just wonderful. B. Smith is the African-American Martha and she is outstanding. I also used Essence Brings You Great Cooking by Jonell Nash and The Ebony Cookbook: A Date With a Dish by Freda De Night. I really enjoy buying these delightful cookbooks by African-American authors. Our son just loves rap music, basketball and African-American culture. Our new friends are an African-American couple and the wife was very pleased when I threw a Kwanza party. i go back to this book time and again for perfect and impressive hors d'oeuvres. not only are they beautiful, they are just delicious. many of her basic building blocks, such as the hollowed out cucumber cups, allow you to improvise and use what's on hand. i have several of her books, and this one is my absolute favorite. Cakewalk showcases and makes available for the first time the superbly decorated cakes that have earned cake decorator and sugar artist extraordinaire Margaret Braun her stellar reputation. This book contains easy-to-follow step-by-step instructions for constructing fifteen of Braun's greatest creations. In addition to offering the tools and a foolproof decorating method for each featured cake, Braun also provides the creative and culinary background on each of her confections. 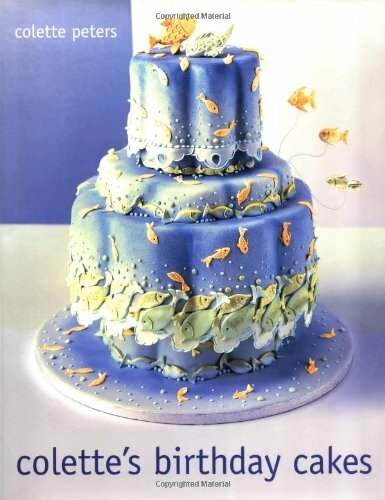 Each sugar masterpiece is the result of many influences--all of which are conveyed through Braun's own words and an elegant blend of imagery that includes her diverse visual references, magnificently drawn and hand-lettered schematic cake plans, illustrations done in food coloring, and especially commissioned photography by renowned photographer Quentin Bacon. Braun also reveals her secrets for beautiful cakes, such as achieving the perfect consistency for fillings and icings, mixing colors to get the right hue, and combining colors and motifs successfully. A visual glossary covers every decorative motif featured in the book, describing its creation through clear visuals and easy-to-follow text. The volume also includes Braun's favorite recipes, including basic cakes, an array of icings and ganaches, rolled fondant, pastillage, marzipan, and family recipes like Braun's mother's flourless chocolate cake. Finally, a detailed listing and description of the necessary cake-decorating tools and a sources section round out this definitive work. What a fantastic book! For those who have never had the privilege to see one of Braun's cakes, the exquisite photographs give you a glimpse of her sugar genius. The text is congenial, informative, and often very funny, and you'll learn not only about cake decorating, but about art, history, travel and one artist's process. How generous of Margaret Braun to share her whimisical vision with readers. As a cake book, it's great to see something that doesn't assume all grand cakes are for birthdays or weddings. There's so much to celebrate in the World. This is also a fantastic book for people into craft history, decoration, or design. The pictures of Braun's cakes, and the fragments and symbols which inspired them, make this book stand on its own as a visual feast. Planning On Building A Masterpiece . . . ? Then this book is for you. The author is truly a master at her craft; the cakes pictured are architecturally striking and marvelously beautiful. 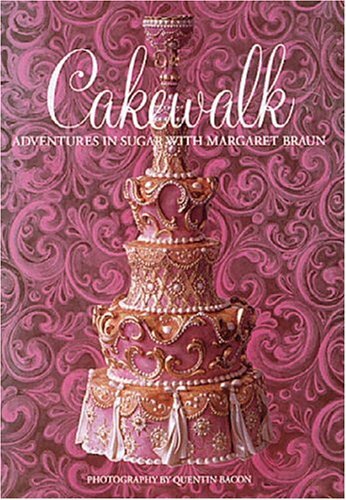 The book is a large-scale glossy hardbound volume, which might lead one to believe it is filled with pictures of hundreds of different cakes Ms. Braun has baked/built/decorated/bejeweled. Instead, it is a painstaking, precise instruction manual on how to construct a relative few of these matterhorn confections. It's exciting to witness an accomplished chef so willing to share the detailed, step-by-step secrets of her craft. For someone without aspirations of building at least one epic wedding cake, however, this book may disappoint despite the generosity of its author. Margaret Braun is an artist. This book is worth every penny for the pictures alone. Ms Braun includes just enough instructions and recipes to let an amateur like me make one of her cakes - which I did for a friend's wedding (All About the Bows). This book is like a walk through Tiffany's or something. I am amazed by her work. It is precisely this atmosphere which is embodied in the Palm Court Tearoom at the Ritz in London, which for many years has been one of the most delightful and traditional places to take tea. 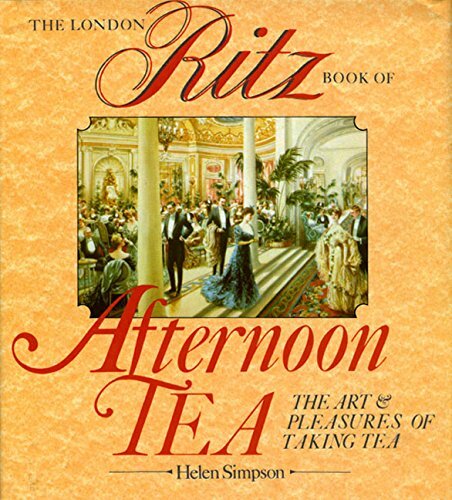 The London Ritz Book of Afternoon Tea captures the essence of this traditional British occasion and provides the reader with all the Ritz expertize in the ceremony as well as over 50 recipes, illustrated with passages from Dickens to Oscar Wilde and charming drawings. This is a great little book for anyone interested in improving their afternoon tea ceremony, or simply interested in the history of the traditional English afternoon tea. There are also some great recipes in the book for tea cakes and sandwiches. It also gives a tantalising glimpse into the elegance of afternoon tea at the Ritz Hotel - after reading this lovely little book, taking aftrnoon tea at the Ritz will definitely be on my "to do" list next time I visit London! For the past 11 years its one of my favorites! I started hosting tea parties when I was 15. I would get up at 6:00 am and start baking and cook until 2-3 and then the feast would be ready. This book was the first "tea book" I bought. I have to admit I was lucky that I bought this book because I wasnt a great cook (I was 15) and I didnt know what I was doing. This book has wonderful recipes that are easy to follow and most are simple to make....and delicious! Now that Ive been doing this tea thing for almost 12 years I have many different books on the subject. But this one is the most used, its covered in flour and it contains some of my favorite recipes. A few of the standout recipes in my opinon are, rock cakes, madelines, victoria sandwich, welsh rarebit and meruinges. You wont be dissapointed in this book. The size is small but its jam-packed with goodies! This is a nice little primer on teas, including a history of tea, tea through the ages, and of course recipes. The recipes are given in both metric and "American" measures. Most of the recipes I tried worked such as scones, drop scones, gingerbread, potted shrimp, devilled ham on toast rounds, the "english" muffins, crumpets, lemon curd, rock cakes (no they don't contain rocks! ), the Dundee cake and most of the savoury recipes. A few did not such as the Madeira cake and the Victoria Sponge. All in all it's a nice little book. This delightful volume captures the charm of the ceremony of afternoon tea, from the glamor of taking tea at the Ritz to the coziness of taking tea by the fire with the curtains drawn against the blustery day. Literary quotations, historical anecdotes, recipes for all the best delicacies served at tea, tips on tea-making, and lovely line-drawings make this book a must for tea-lovers and Anglophiles. It is a treasure to have. What a beautiful book! I recently received this book as a birthday gift and found it to be better than any actual cake I've ever had (no one in my family bakes anything edible---it's gotten so we just blow the candles out & eat the ice cream) These cakes are unlike anything I've ever seen; they are lovely, lovely works of art and I don't see how anyone could bear cutting into one! What a wonderful talent Miss Peters has! I'm inspired to find her other books....maybe I'll even try making one.....any cake is edible with enough ice cream! Buy this book! It will make you happy! As always, Ms Peters delivers! Her designs are unfailingly creative, witty and innovative (as evidenced by the frequency of other cake decorators ripping off her designs---anyone see Barbra Streisand's wedding cake? Compare it to Marie-Chantal Miller's cake -- the Flora Danica one) I also recently visited Jane Asher's shop in London & perused her sample book--more than a few cakes were reminiscent of Colette's! These birthday cakes are marvelous; the photos are great, the instructions easy to follow (I particularly found the instructions for the chess pieces well organized), and there are more than a few new techniques we'll probably be seeing everywhere soon. 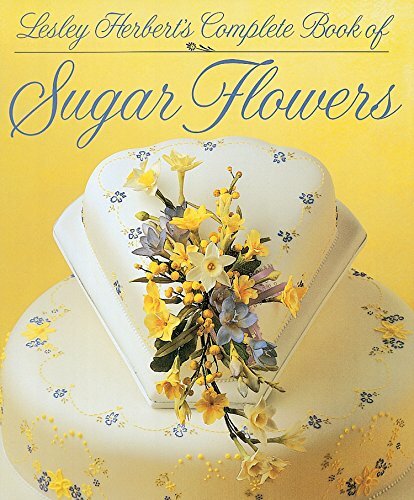 Even if you don't do cakes, this book (and her others) are great for examples. And...even if you don't make one of these cakes for a birthday, the book itself would be a swell gift! The other reviews are correct; this book is not for the beginner. Nor is it for people who prefer to do piping decorating as every cake featured uses fondant and sugar paste. Although you could possibly take some ideas from it and it is fun looking at all these amazing cakes, some of them are so far out there (like a chess set or leather doctor's bag) you better be a really skilled home baker with a lot of time or a pro. I will say that the book is so nicely done (hardback, color, design and layout) that it almost feels like a nice coffee table book. Colette Peters is a master of cake design and artistry. She shows us that baking can transcend the limits of the kitchen, and delve into the canvas and paints of the artist. It is no surprise to discover that Miss Peters is a trained artist. It is also not a surprise to discover that her work graces the tables of Bette Midler, the White House, and Tiffany's at Christmastime. This brightly-colored book is arranged topically: Signs of the Zodiac (12 designs), Flowers of the Month (4 designs), Birthstones (3 designs), and Assorted Party Cakes (14 designs). There are also two chapters devoted to Basic Recipes and Basic Instructions. Miss Peters has thoughtfully included a list of Sources for equipment and supplies at the back of the book. Each design includes: Number of Servings, List of Ingredients, paragraph-form instructions on how to assemble and decorate the cake, a full-color photograph, and patterns (most patterns require enlargements). While the instructions are specific, and basic instructions at the back of the book are extensive, I would not consider this a book for the beginning cake decorator. More advanced and intermediate cake decorators will enjoy creating their own cakes based on these ideas. This is a wonderful gift for the aspiring cake decorator. The best book of the wold! The best book of the wold is reteen by Amber.Stein she is a chef that lives in New York USA.She cooks whith her bother and thay make the best treats in the wold thats wy me and my sitter hope we can be like her and her bother someday and make great treats to.We make her treats then we sale them to people on are block (Eddon street) we hope that we will be abele to sale to people all around the wold and become a great chef to.I wish that I coude go to Sanfriceco and sale so we can make a foten and open a store in Melvindale than wene we sale out there we will fly to New York city and open a store but tell stay open in melvindale if we make enof money we will open a resteront in Ohio then will will saty open in till we have to hire a new people to run the stores and resteront that is what Amber whanted to do in two years she will be 40 and her bother will be 45 so maybe I can take over the store in new york city my mom said never give up hope my mom is 35 so she has bine ther a lot of dreams in her life and many dreams had not drind out but I have one dream and one dream only is to be a treat chef the greatist of the wold and be my self. I thought the recipes looked and sounded awesome but when it came to making them, the recipes were not made for everyone. Alot of the ingredients are hard to find, or expensive, unless you live in a large city. The recipes I tried turned out great and were big hits. I was very excited to get my first ice cream maker. I ordered this book, as well as Bruce Weinstein's "The Ultimate Ice Cream Book : Over 500 Ice Creams, Sorbets, Granitas, Drinks, and More". 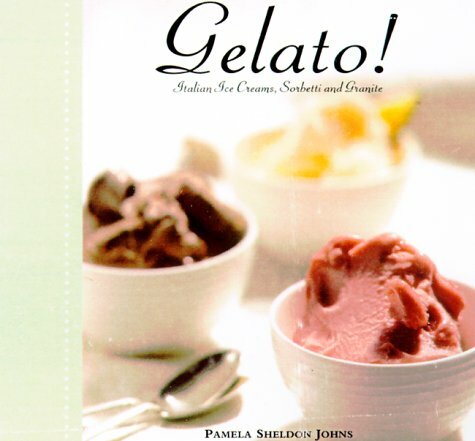 While this book does a wonderful job of describing how Italians have made gelato, and the art and science involved, the recipes can be complicated and a little obscure. For example, she lists a prickly cactus pear sorbetto (the cactus has it's own lenghty preparation - if you can even find the stuff! ), but there is no recipe for chocolate gelato or sorbet. (There is one for chocolate-hazelnut gelato, so it can be adapted). I like the inclusion of the more obscure varieties, but not at the expense of the basics. It is a beautifully photographed and presented book, and would actually look quite good on the coffee table, or make an informative read outside the kitchen. However, I'm a little afraid to actually bring in into the kitchen, for fear of messing it up! After my first 4 batches, I prefer Weinstein's book for variety, and for many flavors he offers more than one recipe so I can choose which level of complexity I want in the preparation. I haven't made enough batches to comment yet on how the final products came out, but thus far I am inspired to try more from Weinstein's book. I can relax and read this book while I eat my frozen treats. Ice Cream Maker and Enthusiasm Required! Kate Sullivan has baked wedding cakes and party cakes for some of New York?s most interesting weddings and events. 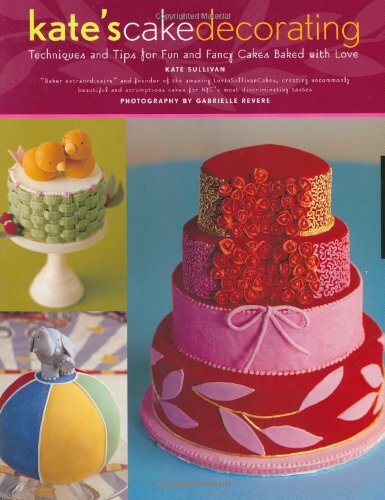 Her sought-after recipes, designs, and tips are compiled in this new volume, Kate?s Cake Decorating. Featured in numerous magazines, Sullivan is a respected and creative baker. For the first time, she brings her knack for creating the unusual to those of us who want to bake more than a layer cake but aren?t sure how. You get a full weeks' chocolate class in a single book. 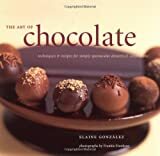 Buy the book and necessary supplies, follow Elaine's expert instructions, and you can develop into a master chocolate maker. The book is a masterpiece in itself. It encapsulates Elaine's 20 years of experience and knowledge with very detailed instructions, beautiful pictures, invaluable references, and scrumptious recipes. She starts with the basics explaining types of chocolate, ingredients and tools, then goes into the details of various tempering methods. With these basics behind you, you then progress into chocolate confections including medallions, caramel pecan patties, truffles, dipped strawberries, peanut butter meltaways and butter pecan toffee - of course, all include ample amounts of chocolate. Next comes more than a dozen chocolate magic tricks including molding chocolate, chocolate plates, shells, bowls, boxes, cups, leaves, bows, flowers, tree bark and cutouts. Then, building on these tricks, she makes even more exquisite chocolate art into baskets, decorated boxes, fancy eggs, and fabulous centerpieces. She shows you how to make your chocolate cakes and desserts even more spectacular by combining various colorings and chocolate shapes creating new art forms. Then she includes a great selection of high-quality recipes for cakes, fillings, frostings, and sauces. Then, if that's not enough, there's a complete bibliography, glossary, mail-order sources, and several conversion charts customized for chocolate. Everyone who's serious about removing the mystery of chocolate art should certainly have and use this book. Elaine, thank you for inspiring and releasing some of my hidden artistic talents. Easier to go through step by step with simple Instructions. The magic tricks are great I like most because once you make a chocolate, the appear has to be cool. So here's a mould,chocolate plates, bowls, boxes, cups, leaves, bows, flowers, tree bark various cutouts.Chocolate baskets, decorated boxes and various tricks is sure catchy. Of coz, some ingredients fall short in India, there's always some substitutes to use and I find it much easier to try my hand on one or two recipe but yeah, reading is cool n the taste touches the sweet tooth jes seeing the pics. A good pick. I am very happy with this book. I want to work more with presentation, and make my product more eye-appealing. The instructions in this book are pretty clear. However I, like another reviewer, would have liked to have seen more pictures of the completed project. I am still very happy with this book. This book is an excellent introduction to the fine art of chocolate patisserie. It will lead the motivated reader to produce elegant presentations, table centerpieces, etc. It will be a great advantage if the reader is already an accomplished home baker. If you are, the procedures can be successfully followed. The recipes and instructions are clear, and give you all of the detail and explanations you need. Do not be fooled, however: the recipes require time, patience, and lots of practice. In the end, you will be able to create products that can be sold at the local bakery, and you will be able to fool people into thinking that you are a professional pastry chef. On the other hand, this book does have a few flaws. All the recipes depend on presentation and looks; therefore, all recipes should have a picture to show you what your end product should look like. Several recipes (including Mouse Truffles, Twig Basket, Teardrop Dessert Cups), however, do not have any pictures, and the reader is mostly clueless as what the recipe should look like. At one point, the author states that one should start with the easier projects. Unfortunately, none of the recipes are rated as to which ones are hard, and which are easy, nor is there a list of recommended recipes for beginners. Also, several procedures, such as chocolate roses and chocolate birds, describe fairly complex procedures, and need a series of detailed pictures to illustrate the steps described in the recipe, but none are forthcoming. The last chapter on basic recipes for cakes, frostings, and sauces should be the first chapter. There are also a couple of interesting points. It is the only source I know of that has substitution lists for substituting cocoa powder or unsweetened chocolate for semisweet chocolate. It also is the only cookbook that consistently recommends chocolate substitutes when it is necessary and produces better results than ordinary chocolate. The book contains the following sections: 1) Ingredients and Tools, 2) Melting and Tempering Chocolate, 3) Spectacular Chocolate Confections, 4) Chocolate Magic Tricks, 5) Spectacular Chocolate Gifts, 6) Spectacular Chocolate Cakes and Desserts, 7) Basic Cakes, Fillings, Frostings, and Sauces. All things considered, it is an impressive instruction manual that is a reasonable substitute for taking a course in chocolate patisserie at the local JC or cooking school. If it had a few more pictures (like Jacques Pepin's "Complete Techniques) I would be happy to call it a textbook destined for immortality. It should be noted that the author is a genuine chocolate expert. She teaches master's classes and leads chocolate tours to the cacao plantations in central and south america. She is not just another cookbook author who has decided to add a chocolate cookbook to her resume (which is a defect of several popular chocolate cookbooks, including "Chocolate Ecstasy"). The recipes in this book are great! 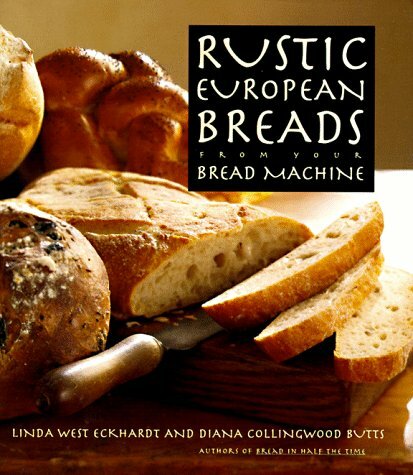 I discovered this book two years ago shortly after purchasing my bread machine. I was discouraged with the recipes in the manual so I was thrilled when I tried the recipes in this book. My family loves all the different breads that I bring to the family gatherings. I have tried the baquettes -- a favorite, challah, wheat bread, french bread italian, and many more. Everyone loves all of them! I recently purchased this book as a gift for an upcoming birthday. Three relatives purchased this book based upon my comments a few years ago. Enjoy! I'm glad I got the book, if only to learn about using the dough cycle on my bread machine. Many of the breads are as fabulous as described and taste great. They can still be a little too finely textured, however, without the big holes that the cover picture and the descriptions would lead you to believe will happen. The pan ordinaire baguettes came out more like Italian bread the first time I made them. So I still had to play around with the dough a bit to get them to turn out exactly as described. In many cases, the dough actually has to be wetter than the recipe would indicate in order to get them to come up to expectations. To my mind, the basic bread flour breads are the best recipes in the book. When the authors get into other flours and flavors (rye, etc. ), the results were less appealing. I also think the authors go overboard continuously suggesting organic flour and bottled water. Most of us won't go to this bother, and it seems gratuitous on their part to insist that they're really that much better. After using my bread machine extensively for several years, the novelty of fresh hot bread had sort of worn off (imagine that). After visiting Europe, I really wanted to be able to eat the types of breads I ate there, but didn't know how to make them and didn't want to pay the high price here for specialty breads. 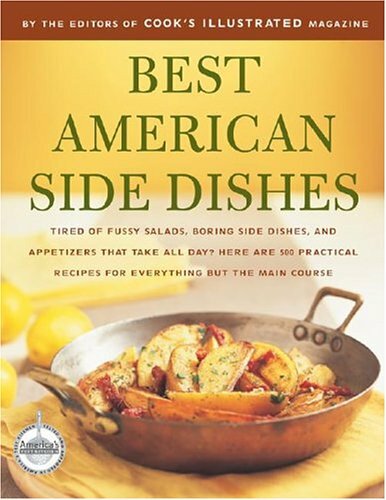 This book is fun, informative, and has great recipes. If some of the other reviews that mention time and complexity scare you, you should realize that there the recipes in this book vary in complexity from extremely simple to complicated and that you should decide which recipes to make accordingly. Lastly, like all recipes, a certain amount of experimentation/variation may be needed to suit your needs; the authors teach you how to do it exactly right, but a little cheating will still yield awesome bread. On the surface this book provides a multitude of ideas from its enthusiastic authors. Sadly however, the book suffers extensively from contradiction and inconsistency. Points made in the introductory section are not followed through in the recipe section. Particularly confounding are incorrect cross references and mixing of terminology to the point where it becomes very difficult to understand what they're on about! More extensive proof reading and testing of the recipes would have ironed out these problems. If you're experienced in the world of bread baking, then you might still find this book useful from an inspiration point of view. If, however you're looking for recipes which you'll follow to the letter, steer clear of this one: you'll be in for some not-so-pleasant surprises. Getting the most from your bread machine! This book is a treasure for every working parent. This is the best cookbook I have ever used. The recipes are quick and easy and taste great. There are hardly any pots and pans to clean up. The menus and shopping lists help to keep me organized. This book has changed my life. I can now cook healthy meals for my family in just a few minutes. No more take out. I highly reccomend it. The best of the genre - No "duck tacos"! I am very pleased with this book: it is simple, the recipes can easily be modified, and best of all: there are shopping lists. I find that a large part of my meal executing woes are caused by not having time to plan and make lists. The foods are very middle of the road: not too gourmet, not too many processed foods. A couple meals a week are vegetarian, but carb watchers can add a fish fillet or chicken or something to the meal easily. Lots of veggies are included too. After purchasing a similar book that ended up suggesting I make "duck tacos" this book is a winner. Tip: take it to an office supply store and have the cover laminated and have it spiral-bound for easy use. I was very dissapointed about the types of recipes that were offered. I consider myself to like most foods, but this cookbook had many dishes that the majority of people would not like. It also has several tuna dishes, yuck. I'm sending mine back ASAP. As a 750 lb gargantuan speciem of a man, I have used this book to great effect. After embrasing my all chocolate diet I have been to increase the size of my abs, love handles, and waistline. I have also almost obtained almost complete buoyancy in my backyard pool no small feet for a man of my considerable girth. Got to Go. Best to the Greens(Reds) Go Ralph Go, Win Ralph Win!!!! I was having chocolate cravings, and things had been busy enough lately that I didn't want to pull out Marcel Desaulniers' "death by chocolate" series. So instead, I picked up a copy of "Hershey's Best-Loved Recipes." I expected them to be fun--but I never expected them to be amazing! First, the ingredients are inexpensive and easy-to-find. I find it's easy to whip up many of these recipes with what's already in the house. If you really want to make sure, just look through the book for pantry ingredients that show up repeatedly (like sweetened condensed milk, toffee bits, or sweetened flaked coconut, as well as chocolate of course) and be sure to have some on hand. The book of course uses brand names, but it's easy enough to extrapolate to your own favorite brands or store brands. These recipes also tend to be inexpensive because they rely so heavily on simple pantry goods like chocolate chips, flour, and oats. Whether in the form of a passed hors d'oeuvre, canapé, or a dish of small bites placed at a table setting, appetizers are the perfect showcase of a cook's creativity and skill. The Appetizer Atlas brings together an enticing range of starters from around the world that will help lead off any dining experience in style. This unique, encyclopedic cookbook offers 400 authentic, savory recipes for appetizers from twenty-eight distinctive regional cuisines-from Mexico to Maghreb, from China to the Caribbean, along with France, India, Italy, Japan, Thailand, and many more. All recipes are kitchen tested, perfect for home cooking, professional catering, and entertaining. With photographs of finished dishes, plus background material on specialty ingredients and regional cooking methods, this comprehensive resource is the only appetizer book a cook will ever need. Arthur L. Meyer (Austin, TX) is a professional chef, pastry chef, and consultant for commercial bakeries. I bought this book to express my appreciation for Arthur Meyer's organic chemistry class. Oddly enough, I discovered that he had an entirely different life outside teaching. 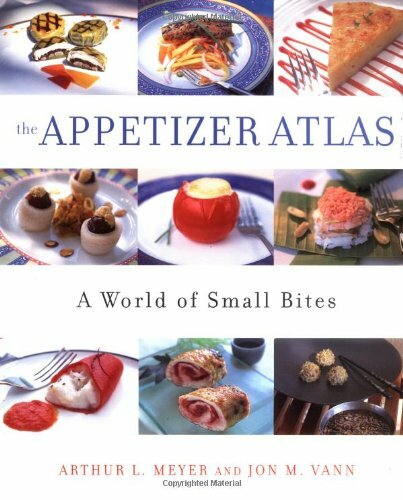 The Appetizer Atlas is not only a comprehensize cookbook, but a good reference to the cutural aspects of cooking. Each section begins with a brief history of the geography and the culture of the region and how these contributed to the local cuisine. Extensively researched and elegently concieved, this book is a smart buy. Everything about this book is impressive. The recipies are exhaustively researched and every region begins with a several page very entertaining description of the factors affecting the area's cuizine. Here and in the recipies themselves you will learn the spirit and letter of enjoying food in different parts of the world. Flipping the book open to any page, here's what you see: first, the name of region and sub-region you are in, a very interesting synopsis of the dish and what makes it special. Right below this, is a very helpful section called "Chef's Notes", which tells you the secrets of proper preparation and what pitfalls to avoid. The format of the recipies is elegant and easy to follow. Advance preparation directions are especially helpful. Optional ingredients are clearly marked and possible substitutions are noted. The preparation directions are very clear, giving you confidence that the author's have actually prepared the dishes and know exactly what to do and when. Nevertheless, what really shines about this book is the actual appetizers chosen and the helpful way the world is subdivided. Reading over the names of the dishes alone will be enough to get you excited. As you dig deeper you will be drawn into the style and flavor of the region. The detailed and complete recipies found in this book which are packed with real information about the area and how to cook it is infinitely superior to the glib and hodge-podge collection that often passes for a cookbook. Buy this one and you will not be disappointed! 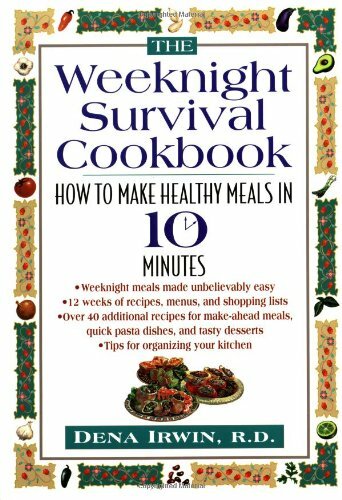 I made six items from this book for a recent party, and every one was a hit. It has easy to follow instructions, and I love the sidebars references to recipe origins, etc. Meyer and Vann have provided a wealth of information for the professional and the home cook alike. Selections include meats, game, poultry and fowl,fish and seafood and vegetarian offerings from every cooking region of the world. This cookbook takes the place of hundreds of single topic books. The recipes are very easy to follow and they come out great! This is a cookbook that begs to be read. Sitr in your favorite easy chair and curl up with the Appetizer Atlas. It's a great read! 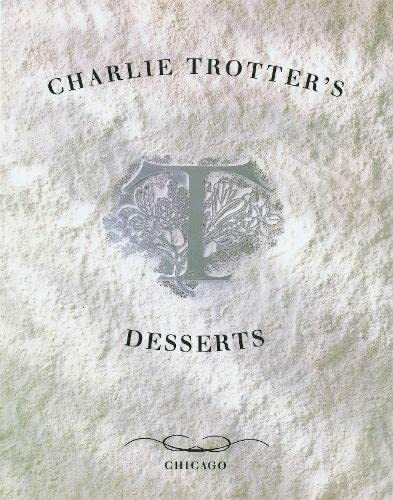 "I have always considered desserts to be of equal importance to the savory food," Charlie Trotter writes in the opening pages of his lavish Charlie Trotter's Desserts. "My approach to desserts celebrates a fruit-driven style, where flash and visual pyrotechniques [sic] are shunned in favor of celebrating the glorious flavors of a perfectly ripe piece of fruit at the height of its season." The illustrations for this book (which won the James Beard award for Best Food Photography) don't quite square up with that statement. It's hard to imagine more pyrotechnics and more visual flash. It's also a little hard to imagine how many hands went into the creation of any single dish. These are not simple desserts for the everyday cook. Rather, this is a catalog of the kinds of desserts that can be created when fabulous food products and fantastic culinary talents all converge at a single kitchen. It's a coffee-table document of possibility. Two Watermelon Soups with Frozen Yogurt Soufflé and Chocolate Seeds is certainly a "doable" recipe for the home cook, and the assembly makes no big demands. The real trick with this dessert, as with most of the desserts in this book, is finding the "perfectly ripe piece of fruit at the height of its season." If you are a cook with access to such fruit, have at it. If your grocery store or supermarket buys the usual picked green fruit found in the commercial fruit pipeline, then take a copy of this book to your produce manager and complain loudly. Have you ever traveled cross-country to Chicago just to dine at Charlie Trotter's? I have, and it was one of the best meals of my life. This book and the others in the series are great at giving you a feel of what the real thing is like. The pictures are outstanding and the combinations just wow you. But if you think for a moment that any cookbook would allow you to duplicate what Charlie does, you are mistaken. Some cookbooks are for those who want to follow a recipe and duplicate it. This is not one of those. This is for people who want to understand the Chef's unique cuisine and appreciate it for the art that it is. charlie trotter creates some of the finest courses i've ever seen. the only problem with this is, nothing contained within this series of books is even remotely practical or feasible from the home kitchen. the ingredients he uses are sometimes impossible to find (even when ordering through a professional kitchen), and the equiptment required for them aren't usually owned by the common cook. so, if you're serious about trying to create an award winning entree or desert, and have the time, patience, equiptment, and endless exotic produce, this book is perfect for you. the rest of us will just have to admire the pictures. Really, what is the point here? Get serious people, there is no way in a million years that most of us would ever successfully assemble one of these over-the-top recipes presented in this book. The extravagence displayed here is totally off the deep end, and is beyond the means or talents of most cooks, so why market this cookbook in the first place? Only other professional chefs would be capable of pulling it off, but they are also capable of making up their own fabulous recipes without Charlie Trotter's help. Supposedly, we are to "draw inspiration" from these recipes. What a load of crap. I could take a second-year violin student, throw the sheet music for Paganini's 24 Caprices at him, and tell him to draw inspiration from the music, even if he couldn't hope ever to play it. What is the point of that, other than to frustrate a person? This is nothing more than ridiculous self-indulgence on the part of another celebrity chef who apparently doesn't give a damn about we lesser beings who are simply trying to put a nice meal on the table. What a knockout of a cookbook! Visually it is just so well done. Nothing else like it! Difficult to do the recipes, not for beginners or the faint of heart. Ingredients most of us have never heard of, nor know where to go to find them. But inspirational, and some of them even from our homes can turn out for that very special occassion when some dazzle is needed at the end of a culinary adventure. Try Mango Compote with Green Tea Creme Brulee or the Peach=Polenta Upside-down cake with almond sherbet. Also, pick up his new book as Charlie Cooks at Home. Much more friendly. I was somewhat skeptical when I first purchased this book. I'm an amateur, "weekend" baker and for some reason I thought that these recipes would be difficult. I was so happy to find out that not only are they relatively easy, they are absolutely delicious. I've made almost everything from this book and nothing has failed me. Now this is my "go-to" dessert book. I made the carrot cake this past weekend (I've never made carrot cake before) and it was wonderful. All of the cakes I've made have turned out moist and just like my grandma used to make. 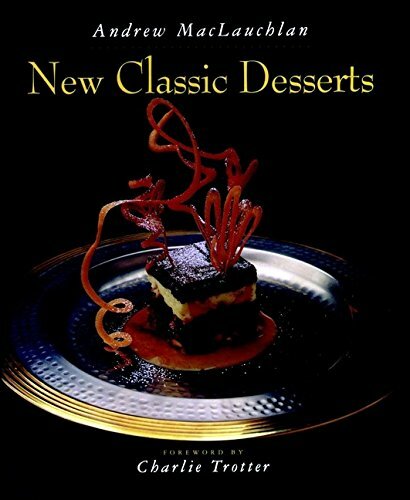 I highly recommend this book if you're looking for some good old-fashioned desserts that aren't too difficult to make. Ms. Appel's recipes for her treats are very easy to follow. She provides "good-to-know" tips for baking and creating these delicious desserts. These treats are far better than any other cookbook I've tried. I really enjoy creating these goodies found in Ms. Appel's delightful & wonderful cookbook. I highly recommend it to anyone that enjoys baking or is just getting started. Try these recipes at your next bake sale or when you want to impress someone. Ms. Appel runs the Buttercup Bakery in Mid-town Manhattan and is always creating awesome treats. I look forward to her next cookbook. I am loving this book, but let's get one thing straight. This is not a cupcake book, as the cover would lead you to believe. In fact, I only saw one reference to a cupcake from a regular layer cake recipe, even though it is written by one of the owners of New York's famed Magnolia Bakery, which has gained notoriety for its cupcakes. At any rate, the recipes contained in this book are pure magic. So far I have made the white layer cake with chocolate chips and peanut butter icing (as suggested), and it was quite a hit with friends and family. Other recipes I'm going to try in the next few days are the sour cream coffee cake and the buttercup golden layer cake. This book is all about making things from scratch like they did in the olden days, but you could also mix and match homemade cakes with store-bought icing or vice-versa. Read the introductory section with tips and pay attention to the details (e.g., use cake flour instead of all-purpose or self-rising, use butter/sour cream at room temp., etc. ), which will make all the difference. The section with icing recipes is short but covers a variety of flavors. It's definitely not an Atkins-friendly cookbook or any of that, so you know it's good for your sweet tooth! I would definitely recommend this book to any baker, novice or expert, and am looking forward to buying 'The Magnolia Bakery Cookbook' (co-authored by Appel) next. Bradley Ogden is one of the young chefs who have changed the way America eats. His savory, classic fare with a sophisticated twist lends itself to home cooking, and in this, his first book, he shares an inspiring repertoire of more than 250 recipes for everyday meals and special feasts. For lunch and dinner, there are appetizers, entrees, and accompaniments to pair in the felicitous combinations that Ogden suggests -- or as you please. An invigorating Chilled Fresh Tomato Soup with Pepper Relish or a creamy but light Shellfish Chowder can launch an elegant menu or crown a simple one; likewise the array of salads, such as an unusual spicy Black Bean Salad or an elegant Seafood Salad with Blue Lake Beans and Sweet Corn, dressed with a delicate Saffron Vinaigrette. Appetizers, too, play a versatile role; tender Shrimp and Corn Fritters, for example, makes a succulent starter that doubles as a garnish for grilled fish. With entrees, as elsewhere, the emphasis is on freshness above all, and the accents are at once traditional and inventive, international and down-home. There's the Mediterranean ease of Baked Red Snapper with Tomatoes, Peppers, and Onions; an earthy Roast Pork Shoulder with White Beans, Smoked Bacon, and Kale; and Ogden's version of Old-Fashioned Pot Roast with Herb Dumplings that goes his own mother's one better. Desserts, of course, are an American forte, and Ogden has captured -- and reinterpreted for a grown-up palate -- the soul-satisfying goodness of the cobblers, crisps, puddings, and pies we loved as children.